Modern offices on flexible terms, from just one month and based on a single monthly fee. Included in this you will be covered for rent, heating, lighting and on-going onsite support. With the highest levels of services provided to you at the space, the onsite managers and reception will ensure you and your business are in an environment where you can prosper and thrive. 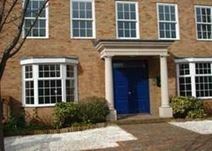 Located with great transport links both regionally and locally, the space is provided by wonderful Surrey countryside but also offers excellent links to London and beyond. There are plenty of shops, restaurants and cafes nearby with plenty of locations and pastimes for you to enjoy. With Heathrow just half an hour away, and with easy access to the A3 and M25, this centre is ideally placed and offers flexible serviced office space available immediately. Local shops and other amenities are close-by. Recently refurbished to a high standard, this building offers a modern and professional working environment, ideal for small businesses and entrepreneurs. The building consists of office spaces, provided with meeting rooms, state-of-the-art telecommunication facilities, high-speed internet connection, printing/copying facilities, 24/7 access, professionally managed reception area, maintenance and cleaning services to assist your business in your daily activities. 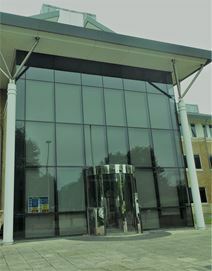 The building is surrounded by cafes, restaurants and shops and is close to the railway station and to the motorway network which offers easy connections to Heathrow and Gatwick Airports. Executive suites and open-plan spaces within an imposing purpose-built centre on a landscaped business park site. Comprehensive facilities are offered including WiFi, lounge areas, parking and kitchen areas. Byfleet station and the M25 are both a short distance away. The centre can be accessed 24-hours a day, and there are nearby coffee shops, Caffe Nero and Starbucks, as well as other places to eat and drink. With Heathrow Airport just 30 minutes away, and with easy access to rail and motorways, this modern business centre is ideally placed and offers flexible serviced office space available immediately. Local shops and other amenities are also close-by.